The Foundation sponsors educational conferences and seminars every year for the purpose of providing health care information with respect to chronic disease to the public. The conferences and seminars are offered to the public for free. Information on the conferences will be made available on our website once they are confirmed. Announcements will be made available to physicians for display in their offices, community centers, clinics and large employers. 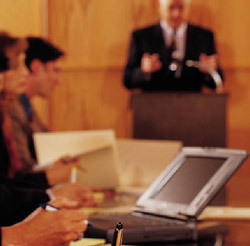 Presenters and lecturers are chosen based on their expertise, educational background and experience. Presented by Daniel Einhorn, M.D. Presented by Mary Wilde, M.D.